Parquet is an add-on allowing you to create different sort of hardwood floors. 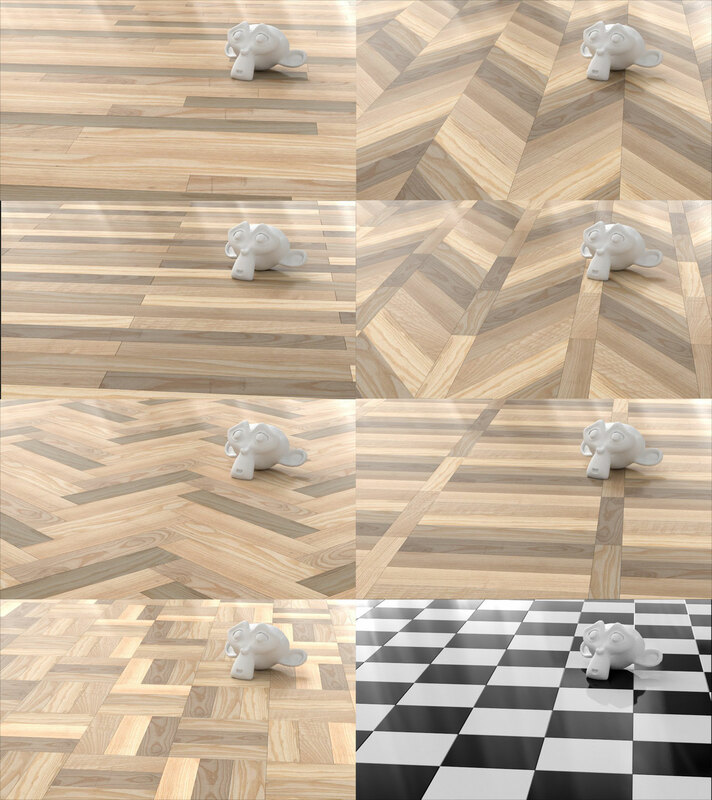 In “Edit Mode”, Parquet will allow you to distribute color and vertex group by phase or randomly, helping in the distribution of the texture on the boards. Thanks a lot to @varkenvarken for his kindness. Awesome! Can’t wait to use this in my upcoming project. Thanks a lot @clarkx for sharing this new add-on so useful! It looks great. Thanksfor sharing clarkx. Thanks guys, glad you find it useful ! Sorry in advance for the confusion on my part … but when I follow you link to get the addon this is a screengrab of what I see. … it looks like JuhaW was using I.E. Excellent!! Thank you for sharing your addon! Thank you! really useful addon! On the Github page, click on the “RAW” button, then from your internet browser : File -> Save as the .py file on your drive. Try to install the addon from this file. dosent load tried everything I know im runnin windows 7. 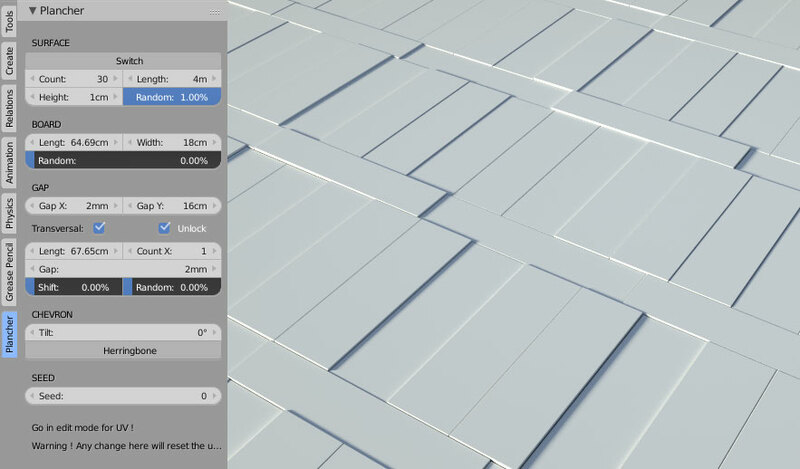 I got it in as py file but blender dosent see it, in scripts window or anything .